Raspberry PI devices have become increasingly popular among enthusiasts and enterprises alike. They are increasingly seen used in various use cases, all the way from home projects or appliances to enterprise appliances that are used in production. The are an extremely versatile platform that is readily able to be used across the board. 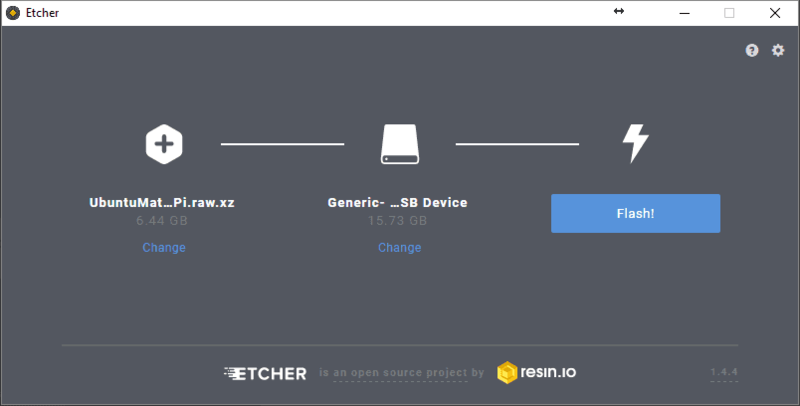 Recently, Praim introduced the powerful Raspberry Pi3 client, called the Praim Berry, that is based on the Raspberry Pi platform, providing an extremely robust Citrix VDI client that is low power, low cost, and versatile. To go along with the Raspberry Pi3 B+ platform, Praim also has introduced the Agile4Pi solution that provides a single way to manage the user interface and manage the Raspberry Pi3 B+ platform. In this post, we will take a look at how to manage and configure Raspberry Pi Citrix VDI thin clients with Praim Agile4Pi. This includes the the Raspberry Pi3 B+ platform with features and functionality provided to organizations making use of the Praim Berry solution for Citrix VDI in the enterprise. Praim has successfully engineered a powerful Citrix VDI endpoint solution on top of the wildly successful Raspberry Pi platform. The Raspberry Pi platform has been extremely successful as a powerful, low cost, multi-capable platform that allows building many different kinds of solutions utilizing the small and power efficient Raspberry Pi hardware. Praim introduced the Raspberry Pi3 B+ solution, Berry that allows organizations to have a small footprint Citrix VDI solution without sacrificing robust capabilities. The Praim Berry device is fitted with an ARM processor and integrated graphics coprocessor that allows fully taking advantage of the graphics processing power of the H.264 protocol in today’s Citrix environments. The capabilities of the Praim Citrix VDI solution does not end with the hardware. Praim provides organizations with the software and management tools needed to manage the Raspberry Pi 3 B and B+ client devices effectively and with ease. Let’s take a closer look at one of these tools in the Agile4Pi management solution. Agile4Pi allows organizations to effectively manage the powerful Raspberry Pi 3 devices and optimize the end user experience. Let’s see how. Praim Agile4Pi allows turning your Raspberry Pi into a cost-effective and high performing thin client for Citrix Virtual Apps and Desktops. The Agile4Pi solution makes all Agile features available on the Raspberry Pi 3 Model B and Pi 3 B+ platforms. It can be installed on the Ubuntu Mate distribution and turns Raspberry devices into optimized end points for Citrix HDX infrastructures. Designed for Citrix – Delivers the full HD experience with client-side video rendering. It has complete integration with the Citrix Receiver and guarantees total compatibility with Citrix Virtual Apps and Desktops which was formerly known as XenApp and XenDesktop. This provides a high performance offering that allows lowering capital expenditures in endpoints. 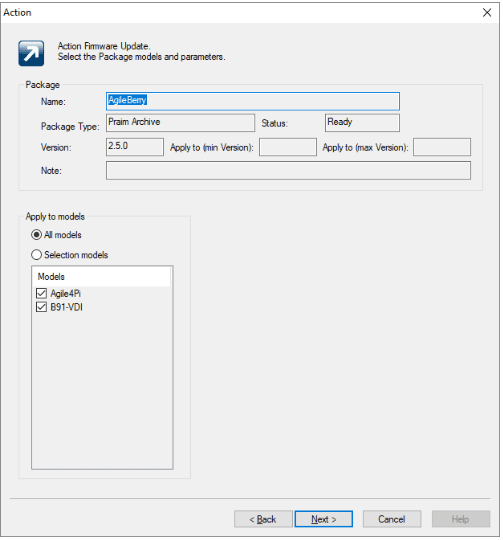 Administer Raspberry devices in a single management tool – The Agile4Pi solution connects your Raspberry to the ThinMan management console. ThinMan Server allows monitoring, configuring, and distributing software on your devices as well as automating operations. Manage Wi-Fi network configurations – Easily configure the network configuration to connect to corporate Wi-Fi and deploy the configuration to all endpoints. Deploy software installation packages – With Agile managed devices, you can receive third-party software installation packages along with the dedicated configuration and updates to the Ubuntu Mate operating system. ThinMan greatly simplifies the operations and management of endpoints. Remote Support on Devices – Using the remote support system that is built into Agile managed devices, support personnel can launch remote support sessions directly from the console. There is no need for external management or support tools. Streamlined and Unified Desktop Experience – Agile enables organizations to easily roll out a simplified interface across devices that resembles a smart phone interface in look and feel. This provides many benefits including lowering support time with the simplified interface, unifying operations across devices, and providing greater security by locking down system configuration and preventing end users from making changes. Deploy security certificates and password management – Using the workstation update mechanism, you can include the distribution of security certificates. Secure login via the Wi-Fi network and ThinMan login functionality – Agile allows taking advantage of Wi-Fi connectivity and integration with ThinMan Server, allowing administrators to secure access to corporate resources via a login. ThinMan allows pushing out configuration profiles to devices to standardize configuration across the board. 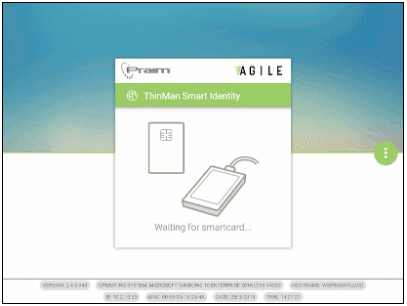 ThinMan Smart Identity – Using the ThinMan Platinum Edition – users can make use of a personal smart card for gaining access to the endpoint. Smart Identity can make use of many smart cards and readers as well as proximity card devices enabled with NFC technology. Easy Kiosk Creation – Building on the power of Agile4Pi and its ability to create powerful kiosk stations in with only a few clicks, Agile4Pi allows creating a customized full screen browser kiosk that is locked down and streamlined for user interaction. The administrator can customize access to the browser and which aspects of the browser are shown to the end user. Flashing Ubuntu Mate and Agile4Pi are provided by Praim in an image file. Praim tailors the firmware and clients that are included in the Ubuntu Mate installation for the Agile4Pi software. A microSD 16GB card is required to contain the Ubuntu Mate installation and the Agile4Pi client. 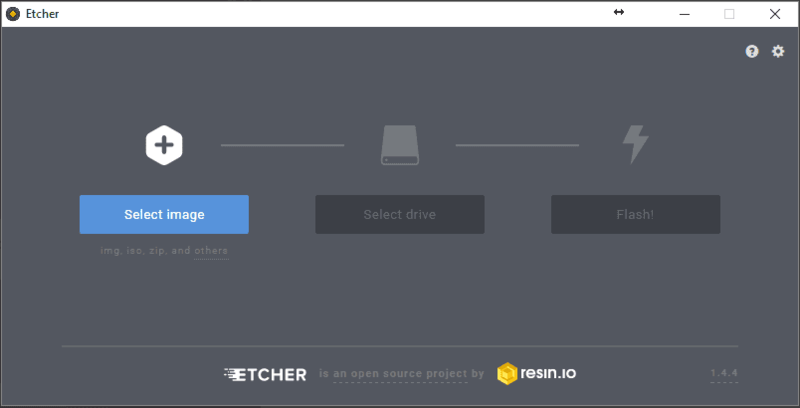 Using the Etcher software and select the image file obtained from Praim. Select the drive for the microSD card. 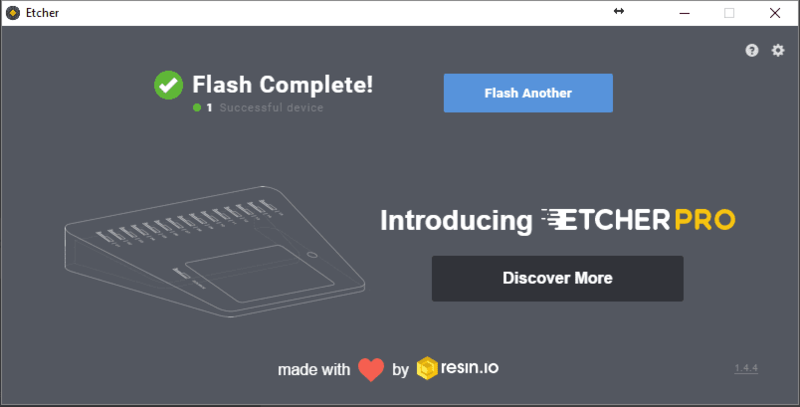 Once the drive is selected, click the Flash! Button to begin the flashing process. After installing the Ubuntu Mate installation, simply license the Agile4Pi installation to begin making use of the Agile4Pi solution with Raspberry Pi devices. ThinMan Server is the all-in-one management solution that allows integration from Agile4Pi and the other Praim solutions. ThinMan Server is a single pane-of-glass interface that allows managing all endpoints in a single solution. Using Agile4Pi along with ThinMan Server provides the most powerful solution possible. Below we see the tight integration with ThinMan Server and Agile. From ThinMan Server, you can easily perform updates on Agile4Pi managed devices. You can also create an update action to perform the update automatically. The introduction of the new Raspberry Pi endpoint, Praim Berry, provide an extremely powerful solution for organizations looking for lightweight, power-efficient, and versatile endpoint for Citrix HDX environments. Praim’s Agile4Pi solution allows organizations to extend the power of the hardware with a robust management solution. With Agile4Pi, organizations have a platform to manage all Raspberry Pi endpoints, deploy configuration profiles, manage Wi-Fi connectivity, install software, remotely support, and provide modern security mechanisms for conveniently securing Agile4Pi endpoints. With the ThinMan Server integration, the capabilities are extended even further for Agile4Pi. Praim has given organizations a powerful, all-in-one solution that includes both the hardware and software needed to effectively manage, configure, and automate the Raspberry Pi solution.